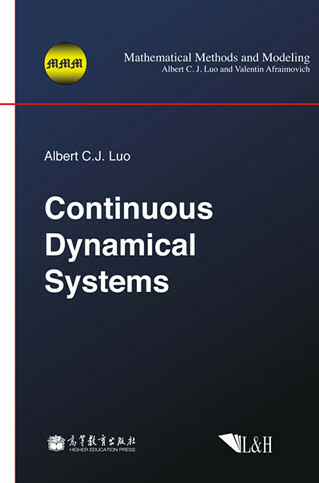 Continuous Dynamical Systems is a unique book on chaos which can be analytically expressed rather than numerically simulated only, and provides a simple and concise view of a theory of stability and bifurcation in continuous dynamical systems for a better understanding of regularity and complexity in dynamical systems. Linear continuous systems with repeated eivenvalues are introduced as an introduction. The analytical routes of periodic flows to chaos are discussed comprehensively. In addition, the book presented the analytical predictions of the global transversality of a flow to separatrix and nonlinear Hamiltonian chaos to determine the physical mechanism of chaos in nonlinear dynamical systems. This book is written as a textbook or reference book for university students, professors and researchers in applied mathematics, physics, mechanics, and control. The first monograph to discuss the analytical solutions for periodic flows and chaos. A different view of stability and bifurcation theory in continuous dynamical systems. A comprehensive discussion on the global transversality of flows to separatrix. An analytical prediction of nonlinear Hamiltonian chaos. A wide audience in mathematics, physics and engineering.